There are plenty of BPM program offerings to date, ranging from ½-day BPMN modeling workshops to fully accredited academic programs that provide Master’s and MBA degrees with concentrations in Business Process Management. A good way to evaluate the content of these programs is to study the outcome, i.e. what skills you will have acquired once you go through one of these educational offerings. An established standard for learning goals is Bloom’s Taxonomy, first published is 1956. Bloom states that an educational program should specify to what extent the following skills are built (in order of complexity): Knowledge, Comprehension, Application, Analysis, Synthesis, and Evaluation. Knowledge is concerned with the observation and recall of information. A simple example in the context of BPM would be that a student can define what a process, an activity, a value chain, or a gateway is. Knowledge may extend to dates, events or places. For instance, students may learn the historical origins of BPM technology and the different milestones that led to today’s generation of BPM systems. Another category of knowledge is the recall of major ideas, which would allow students to understand the nominal differences between technologies such as BPM, BI, SOA, and ERP systems. At the highest level of this category is the mastery of the subject matter in terms of definitions and specifications. Comprehension is concerned with understanding of information, having a grasp of its meaning, being able to translate knowledge into a new context, and being able to predict consequences. Beyond a basic recall of facts (which means simply memorizing definitions), comprehension takes this knowledge to a usable level. Students should be able to put concepts they know into their own words. In the context of BPM, understanding information could mean that a student understands the semantics of BPMN symbols and is able to read the structure of a BPMN process diagram. At the next level, he or she will grasp the meaning of the diagram, i.e. understand its context. One step further is the translation of knowledge into new context, for example the use of process design patterns on a new process. The comparison, interpretation and contrasting of facts allows students to use process metrics to make analytical decisions, and to order a set of processes according to their degree of structure (i.e. from ad-hoc to production processes). At the highest level of comprehension, a student will be able to predict consequences – for instance, he or she may be able to infer the performance of a process from its design. Application moves the skills acquired as knowledge and comprehension to situations outside the classroom. Students at this level are able to use information, methods, concepts, and theories in new situations. For example, a student that is able to use BPMN to model a previously undocumented process has reached the level of application. Solving problems using the requisite skills or knowledge signals the mastery of the application level. At the level of Analysis students should be able to compare two related concepts and point out their similarities and differences. This includes the identification of patterns in data, for example the documentation of process patterns or best practices, and the development of reference models. Students should be able to organize parts of a system. In the context of BPM this means that they can create process frameworks or architectures that place individual company processes in a larger context. Up one level from this is the recognition of hidden meanings. This skill implies that students can recognize hidden meanings, an important skill for business analysts. An example would be the evaluation of interview transcripts to identify causes of change resistance in an organization. Finally, students should be able to independently identify components of a system, for instance by using a structured approach to process identification and documentation. Synthesis skills enable students to develop their own models of the world. They can use old ideas to create new ones. For example, they can apply reengineering patterns to an existing process design to come up with new designs. They should be able to generalize from given facts, extracting patterns and reference models from a collection of industry processes. They should know how to relate knowledge from several areas, e.g. by combining business rule modeling and business process modeling. Finally, students should use all the previously mentioned skills to predict and draw conclusions. For example, a student at this level can use a simulation to forecast the impact of process changes on organizational performance. The highest level of Bloom’s Taxonomy is Evaluation. Given a particular situation, students should be able to choose an approach or model and explain their choice. They should be able to compare and discriminate between ideas, such as modeling techniques, BPM standards, or tools. They know how to assess the value of theories and external presentations, separating hype from reality. For example, students should be able to critically evaluate a newly proposed BPM standard. Students should be able to make choices based on reasoned argument, for example, select a documentation standard or integration technology based on the context of their project or organization. They need to be able to verify the value of evidence, e.g. they can assess whether the current documentation of a process sufficiently represents organizational reality. Finally, students should be able to recognize subjectivity and act accordingly. Process mining is a relatively new paradigm and [..] therefore this manifesto catalogs some guiding principles and challenges for users of process mining techniques as well as researchers and developers that are interested in advancing the state-of-the-art. The CEBPI staff was fortunate to be a founding member of the IEEE Task Force and we have happily participated in the development of the manifesto. Process Mining is a module in both our general Business Process Management and our new Process Analytics course. The manifesto is a very good starting point for anyone who wants to gain an overview of Process Mining. You can download the manifesto here. Hoboken, NJ – Stevens Institute of Technology today announced its partnership with Bright Star, a Newark-based non-profit business process and records management company that trains and employs U.S. veterans, to create a certification program to train veterans in the fields of business process management (BPM), records management, and e-learning technologies. The certification program will enable veterans to successfully embark on substantive, long-term careers in these rapidly growing and important fields. Dr. Michael zur Muehlen and Dr. Celia V. Harquail, professors in the Howe School, are spearheading the Stevens’ team as part of the school’s Business Technology Consulting Practicum. They are nationally recognized authorities in BPM and social organizations and will advise the students throughout the course of the projects. The Stevens teams will coordinate with Steven Dworkin, Vice President of Development for Bright Star who is an expert in BPM technologies. Thirteen students from Stevens’ Howe School of Technology Management will work with Bright Star on two distinct projects: building curricula and associated training material for certification programs for BPM, records management, and e-learning; and working with Bright Star’s team of veterans to build comprehensive proof-of-concept workflow modules for licensing processes for government agencies. NYC Transit, the Metropolitan Transportation Authority’s arm responsible for operating subways and buses in New York City is partnering with researchers from CEBPI to study its processes in the area of asset management. The MTA’s assets range from rolling stock (subway cars and buses) to infrastructure components such as stations, tracks and signals. In partnership with british asset management consultancy Smart Asset Solutions, the study will investigate the introduction of the international standard PAS55 at NYC Transit. The result of the study will be a plan for a strategic asset management improvement effort, designed improve NYC Transit’s processes surrounding its multibillion-dollar asset portfolio. Michael zur Muehlen, Jianwen Su (eds. ): Business Process Management Workshops. BPM 2010 International Workshops and Education Track, Hoboken, NJ, USA, September 13-15, 2010, Revised Selected Papers. This book constitutes the thoroughly refereed post-workshop proceedings of nine international workshops held in Hoboken, NJ, USA, in conjunction with the 8th International Conference on Business Process Management, BPM 2010, in September 2010. The nine workshops focused on Reuse in Business Process Management (rBPM 2010), Business Process Management and Sustainability (SusBPM 2010), Business Process Design (BPD 2010), Business Process Intelligence (BPI 2010), Cross-Enterprise Collaboration, People, and Work (CEC-PAW 2010), Process in the Large (IW-PL 2010), Business Process Management and Social Software (BPMS2 2010), Event-Driven Business Process Management (edBPM 2010), and Traceability and Compliance of Semi-Structured Processes (TC4SP 2010). In addition, three papers from the special track on Advances in Business Process Education are also included in this volume. The overall 66 revised full papers presented were carefully reviewed and selected from 143 submissions. Business Process Management skills are a hot commodity these days. A HotJobs query typically returns 50,000 job openings that required some degree of business process expertise. But what exactly is the skill set of a BPM expert? Here’s a hint: Not everybody needs to be fluent in BPEL. And how many different flavors of BPM experts are there? Those who build and implement process support systems require a different focus from those who evaluate and design work processes. Knowledge about processes comes in useful at different levels of the corporate hierarchy. Executives are concerned with issues of corporate performance and compliance. They need to know how the operational processes of their organization feed their measurement tools (Balanced Scorecards and Strategy Maps). They need to be able to identify strengths and weaknesses in the process portfolio of the organization. And they need to understand what process governance structure is appropriate for their organization and how it can be implemented. Executives are not necessarily interested in high fidelity process maps, but need to understand the position of their organization in the value chain that reaches from suppliers to customers. Process analytics capabilities are becoming a sought-after feature, and an understanding of what you can do with the insights gathered from BAM and BI tools will make a difference at this level. Business Analysts analyze, document, and improve processes. They need to understand the needs of the business unit they work with, how the objectives of the process under evaluation align with overall corporate goals, and what process improvement patterns may be applicable in the current situation. Business Analysts use formal process maps to document as-is and to-be work processes, so they need to be conversant in process mapping techniques such as BPMN. They need to understand how the diagrams that they create can be organized to form a process architecture, both in terms of hierarchy (from value chain to workflow) and landscape (from supplier-facing to customer-facing processes). At the same time, they need some technical understanding of the capabilities that process support systems provide, and how these capabilities can be leveraged to triage processes into straight-through processing branches and human interaction branches, create work support systems, and leverage emerging technical architectures such as an enterprise service bus. Systems Analysts create solutions around the to-be processes documented by Business Analysts, and they maintain and design solutions around existing processes. Their skill set is dominated by a deep understanding of the technical capabilities of BPMS and ancillary technologies, such as document management systems, messaging infrastructures, and portal technology. Like Business Analysts, Systems Analysts work with a formal documentation of the process being supported, and they may embellish the BPMN diagrams from the Business Analyst with constructs that relate to technical implementation details, such as messaging interactions, and automated steps that are outside the view of business users. In addition, Systems Analysts need to understand how to translate these specifications into a running implementation, using whatever platform their company has available. So in addition to a generic BPM skill set, Systems Analysts require vendor-specific education about the features and deployment guidelines of their technical BPM platform. BPM Vendors and Systems Integrators need to understand the context of their solutions. Their professional services organization often works with their client’s Systems Analysts to deploy specific BPM solutions. In addition to the requisite technical skills to design and implement BPM systems, vendors increasingly develop methodologies for the deployment of their systems, which are based on a set of project management and product-specific skills. In addition, vendors need to build an understanding of the vertical industries that they serve. Part of this industry-specific knowledge is an understanding of vertical integration standards in domains such as finance, healthcare, or insurance, which their systems need to conform to. Stevens Institute of Technology offers BPM courses and certificates at the executive, graduate, and undergraduate level. Our courses range from single-day seminars to fully accredited graduate courses with 35 contact hours. Courses can be delivered online and on premises, in addition to our award-winning campus in Hoboken, NJ, across the Hudson river from midtown Manhattan. It is hard to call the Business Process Modeling Notation anything but a success. Stephen White and the other members of the BPMN standardization group have spent nearly 10 years developing and fine-tuning a common graphical representation for business processes, and both tool support and user uptake have been heartening. But BPMN never had one critical element – a stepwise path for users and vendors that allowed them to phase in the use of individual symbols while making sure that the resulting models could be moved between tools. The original BPMN specification had the distinction between a simple subset of the language and the full set, but nobody I know found the simple set sufficient to do any meaningful modeling. The new revision of BPMN, 2.0 has more than 50 symbols in its full set. For users and vendors alike, it is unlikely that we will see support for and use of every language element out of the gate (notwithstanding the BPMN 2.0 support in modeling tools like Signavio). So, vendors will phase in new symbols over time, and users will extend their models with these symbols as they become available (and are deemed useful). But if there are no milestones on the way from what is supported today to the full BPMN 2.0 symbol set, we will see varying subsets by vendors, which will make interoperability difficult to impossible. Conformance classes provide these important milestones – they are targets that vendors and users alike can rally around, with a reasonable expectation that a tool that supports the symbols of a conformance class will be interoperable with a tool supporting the same conformance class. Bruce Silver has spelled this problem out in a recent blog post and I couldn’t agree more with his sentiment. The BPMN 2.0 Finalization Task Force needs to see this through. A standard specification by itself is not sufficient to ensure that the standard will be usable – and who has more authority to put forward such guidelines than the BPMN standardization group itself? The Center for Business Process Innovation at Stevens Institute of Technology hosted the 8th International Conference on Business Process Management, held from September 13 through 16, 2010. This was the first time this prestigious conference is held in North America, and only the second time it was held outside of Europe. BPM 2010 was the eighth conference in a series that provides the most distinguished specialized forum for researchers and practitioners in business process management (BPM). 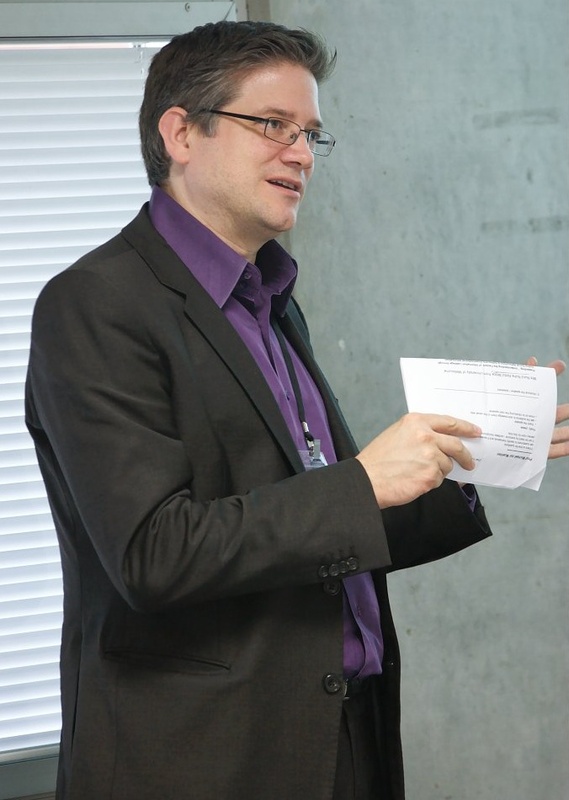 The conference has a record of attracting innovative research of highest quality related to all aspects of business process management including theory, frameworks, methods, techniques, architectures, and empirical findings. More than 270 participants attended workshops, multiple conference tracks, a doctoral consortium, as well as industry demos and poster sessions during the week-long event. In addition to the main research track, BPM 2010 included an industrial and an educational papers track. The conference series encourages practitioners to submit experience and application papers reporting on innovative implementations and applications of Business Process Management with a particular focus on their impact on information technology use and business practice. Michael zur Muehlen, Associate Professor of Information Systems at the Howe School of Technology Management and online instructor for the WebCampus department at Stevens Institute of Technology, was the second recipient for the Online Excellence Award at Convocation 2010. Always looking to improve the online experience, this instructor will test any distance learning technique that he can sample. He particularly enjoys mixed media productions such as podcasts, narrated slides, ScreenCams, recorded video, or whichever medium is appropriate for the content he is trying to convey. Dr. zur Muehlen spoke at the WebCampus Faculty Colloquium in Fall 2008 to the instructors about all of the podcasting technologies and techniques available. During the presentation, he provided a quick demonstration on how to record an audio podcast using the GarageBand tools that were built-in on his Mac computer. He also included information on the different options PC users have for developing these recordings with alternative software. For his presentation he went through each of the podcasting steps from recording his voice, to adding a jingle, to inserting artwork, ultimately creating a working and presentable podcast. He also produces longer tutorials to introduce new concepts or software. For example, there are seven tutorial videos in MIS 712 (BPM and Workflow Implementation) that walk the students step-by-step through the use of complex workflow applications such as Sungard Infinity Process Platform , Signavio Process Editor, and Activiti BPM Platform. This comes in handy to keep the online discussion focused “This cuts down on the number of mechanical questions raised in class, and we can focus on the ‘big picture’ during class discussion,” he said. Although a fan of everything online learning offers, zur Muehlen does feel there should be more opportunities for hybrid delivery, or at least social get-togethers for the course participants. “I’m hosting a get-together later this semester, because the students miss the socializing and networking aspects of face-to-face classes when they take online classes,” he said. I want to give some background on the DoDAF conformance class, and how it came about, since I wrote most of the DoD document (the initial release is available here, if you are interested in a more recent version please email me). Large-scale system descriptions for government projects have to be delivered in views the follow either the DoD Architecture Framework or the Federal Enterprise Architecture Framework (FEAF). The DoD Architecture Framework (DoDAF) in its original form didn’t even contain a view for modeling processes, because it was closely designed with UML views in mind. Recently people have taken to using the Event-Trace-Description view (called OV-6c technically) and populated it with process models. Process modeling is increasingly important in the government space, but there is a large variety of approaches that people employ, and frameworks like DoDAF are not prescriptive in terms of how their individual views should be populated, i.e. which methods people should use. That leads to the situation that people use IDEF, BPMN, FlowCharts, and all claim to be DoDAF-compliant. Pretty much from the get-go we determined that BPMN was the graphical standard for process modeling that the DoD would settle on. It was already in use in different projects, there is a broad base of tool-support, and an increasing knowledge base of modelers that are conversant in BPMN. Moreover, BPMN provides excellent support for cross-organizational process modeling and the handling of events, making it preferable to using IDEF0 or UML Activity Diagrams. Even if modelers all use the same notation (BPMN), there are different ways to express the same semantics. One particular example is the conditional sequence flow element in BPMN – you can model a split using an exclusive or inclusive OR gateway, or you can express the same semantics using conditional sequence flow elements. The example below shows two process fragments that are semantically equivalent, but the casual reader would have to read the transition conditions for the conditional sequence flow example on the right to determine whether this is an exclusive or inclusive OR split. The gateway on the left signals this semantic through the use of the X symbol. 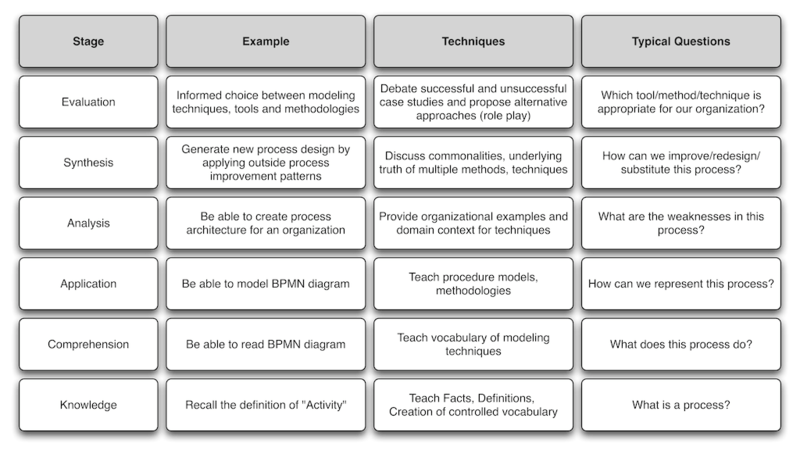 In previous research Jan Recker and I had looked at the uptake of BPMN in practice, and found that there were some language elements that were rarely used in the models we analyzed. Thus we started to tailor the set of BPMN constructs that we thought were sufficient to model processes at the requirements engineering level (the DoDAF OV-6c), and the systems engineering level (the DoDAF SvcV-10c and SV-10c). This led us to a first cut of “BPMN primitives”, but we needed to validate it. So we used the BPMN subset in the documentation of various processes within the Department of Defense, from the Business side (hiring people, paying suppliers, managing property etc.) to the Warfighter side (performing close air support missions). We also sent the specification to a number of individuals outside the DoD that provided feedback, and we presented it to a number of BPM vendors for their input. It quickly became clear that if you want to ensure consistent modeling practices you need more than just a restricted set of the BPMN syntax – you need to provide guidance on how to apply the modeling elements in practice. Thankfully, Artur ter Hofstede and Wil van der Aalst provided a great foundation for this in form of their workflow patterns work. We adopted as many of these patterns as we thought feasible, and they became a mandatory part of the BPMN primitives specification. But beyond the elementary patterns (e.g., how do I model a process split?) we found that there were recurring situations with specific semantics – reviewing and approving a document, collaboration between two parties, voting on an issue etc. These were captured in a high-level pattern catalog that is meant to be extensible, work that is currently ongoing. The final question we are after relates to the exchange of models between platforms (e.g. to take a model from an architecture tool to an execution platform). It is clear that not every vendor will support the full set of BPMN 2.0 constructs. The most frequent explanation from execution-level vendors (i.e. BPMS vendors) is that they don’t want you to model what they can’t execute. So if an execution engine cannot interpret a non-aborting attached timer event then its development environment will most likely not contain that symbol. But that doesn’t mean we are not pushing the vendors to extend their systems in this direction, and since the US federal government is a rather significant technology buyer having the BPMN primitives as a guide in terms of what BPMN support is expected should provide clarity for vendors that are working on their development roadmaps. A vendor that currently supports just a subset of BPMN has little guidance which elements should be supported in the future – in BPMN 1.0 through 1.2 there was just a core set and the full set of the language, and a big gap in the middle. In BPMN 2.0 there will be more milestones that a vendor can target: Simple, Descriptive, DoDAF and Full. There still is a big gap between the Descriptive and the Full subclasses, and there was debate within the OMG and with interested parties on the outside how a suitable subclass could be introduced between Descriptive and Full. That’s where the DoDAF BPMN Subset (i.e. the primitives) comes in – it is a user-driven, practically validated subset of BPMN that ensures a high level of expressiveness, while leaving out many of the constructs that can either lead to inconsistent representations for the same semantics or that are so technical that the vast majority of IS and systems engineers will not miss them. It is a yardstick for vendors that may still have gaps in their own coverage of BPMN constructs and it gives members of the training community a target set for higher-level BPMN certifications. So there you have it – history and rationale for the DoDAF subclass in the draft BPMN 2.0 spec. Whether the DoDAF name is a wise choice for the standard spec I don’t know, Sandy certainly raises a valid question. But in terms of content I am very confident that its applicability goes way beyond the confines of the Pentagon.